We have a variety of lifts to for any size boat. We provide the BoatFloater lifts common sizes 4000-8000 lbs and the drive on/drive off EZ BoatPort for boats up to 5,000 pounds, and personal Watercraft lifts for various size watercrafts. We can typically figure out how to best attach to almost any existing dock system. 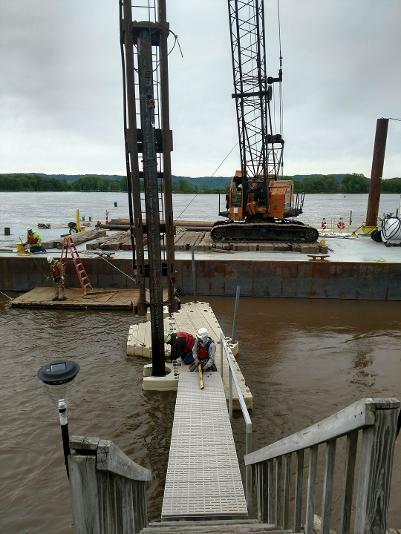 Below is a picture of a custom built dock and ramp designed and constructed by Coulee Region Docks in La Crosse. The dock and steps have WearDeck. The aluminum ramp has Titan decking with aluminum railings. An EZ Port Max 2i watercraft lift is attached. We have a combination of 12" permanent poles installed by Brennan and our 3.5" galvanized poles installed with augers. This is a picture of a custom steel frame dock. Repairs on all docks including floating or stationary docks, boat lifts, Ace floats, barrels, ramps, poles, welding and accessories. 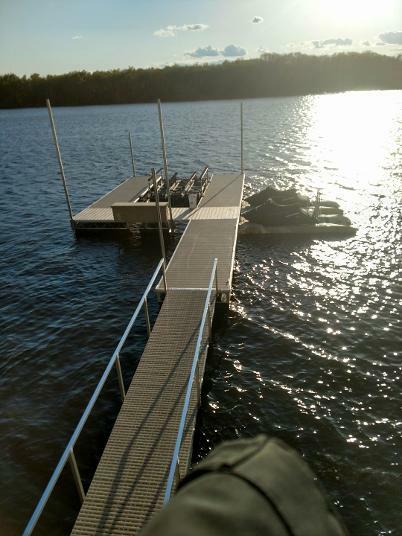 Building and installing custom built truss style steel frame docks with or without the decking and Aluminum ramps with Titan, non-skid decking. 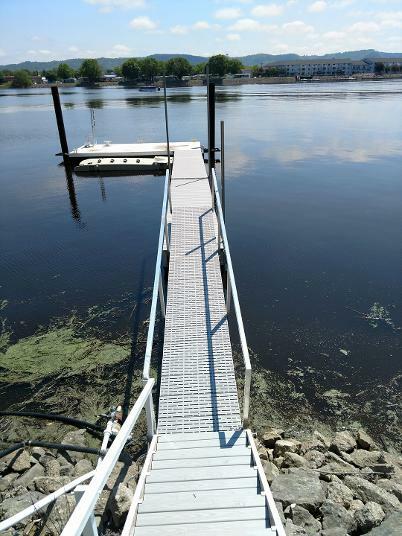 Below is a custom built steel frame dock with WearDeck decking. Includes a 4000lb Boat Floater floating boat lift and custom aluminum ramp with railings and titan decking. Two EZ Jetski Ports Max 2i and bench. EZ Dock accessories in stock. 21 foot deck boat on a new EZ BoatPort with side extensions. EZ Port III in forefront. If you need permanent poles, now is the time to schedule the installation. Trade-ins are considered. Give us a call today for an upgrade to your existing dock system. 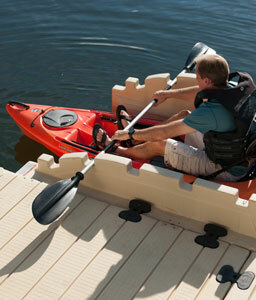 We are so excited to announce the recently released EZ Kayak Launch for personal use. 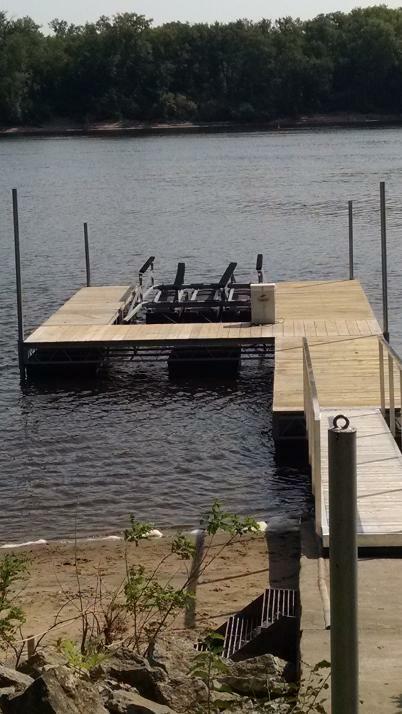 EZ Docks innovation is second to none and installation to existing docks. We can install to almost any dock system.